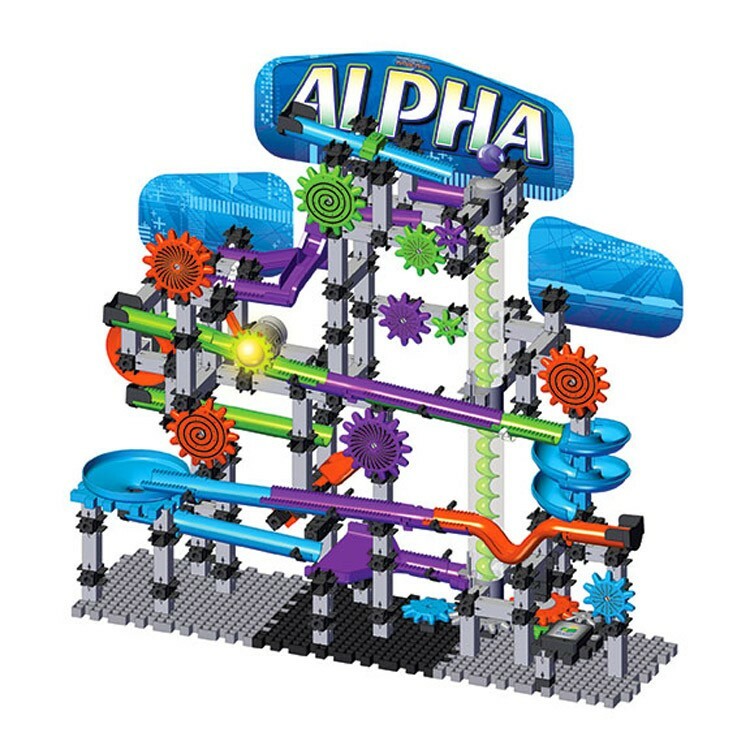 The new Alpha 300+ pcs Techno Gears construction set offers kids two ways to have fun - they can build and observe the work of their own marble run. 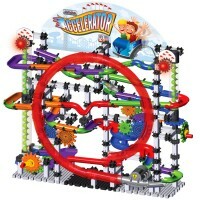 Everyone's favorite marble run, Marble Mania, is back with loads of exciting new features! 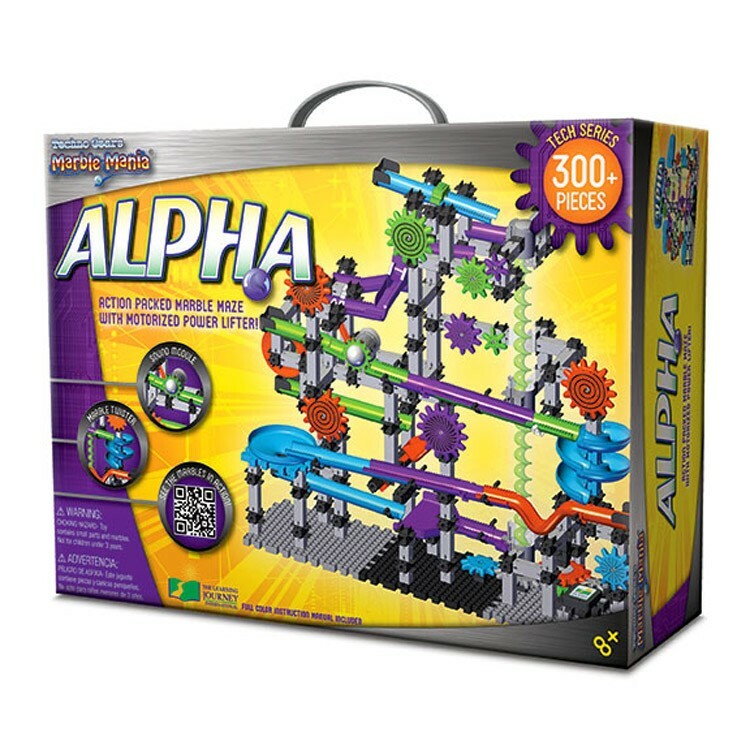 The Alpha Techno Gears Marble Mania Building Set turns up the speed of previous marble run kits and adds more fun and creativity. 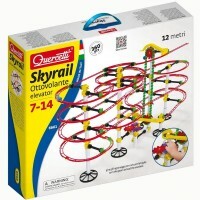 This marble run building toy includes a power lifter, dual marble tracks, light and sound effects, and spiral tracks. 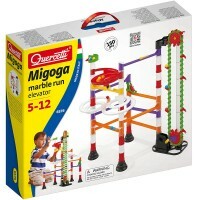 This unique marble run construction set by the Learning Journey offers children two ways to have fun - they can build and observe the work of their own marble run. 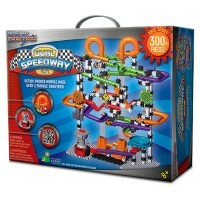 Construct the original rollercoasters by using the 300+ included pieces, launch the marbles into the run and observe the quick path that their marble takes through the rollercoaster. Watch marbles go through loops, twists, turns, accelerate, slow down, and then come out. 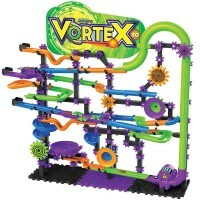 After observing their marble run in action, kids can tweak it to make it more exciting or slow it down more. This process teaches children trial and error skills that they will use for the rest of their lives. 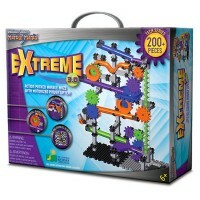 Alpha Techno Gears Marble Mania Building Set also expands children's knowledge of mechanics and engineering. 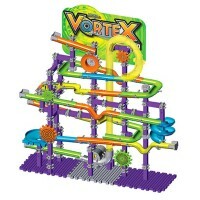 This gears marble run kit from Educational Toys Planet can be enjoyed alone or with friends. 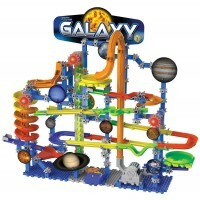 This Alpha marble run building kit requires one AA battery (not included) and 3 button cell batteries (included). 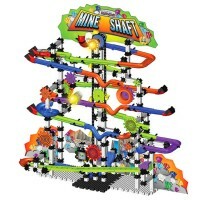 Dimensions of package 0.221" x 0.185" x 0.04"
Write your own review of Alpha Techno Gears Marble Mania Building Set. Rating: 5 by Robert, MO Massive creative structure. 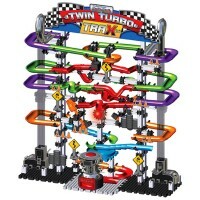 Challenging enough for 9 year old, but keeps child's interest.